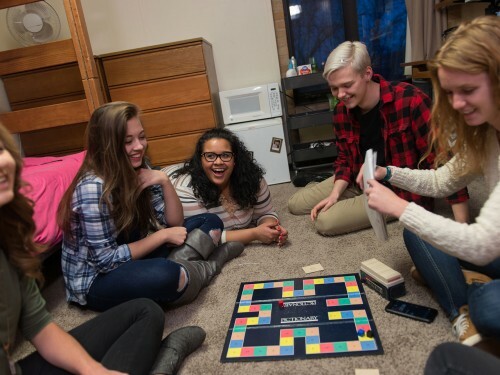 Picking a residence hall is a big decision. 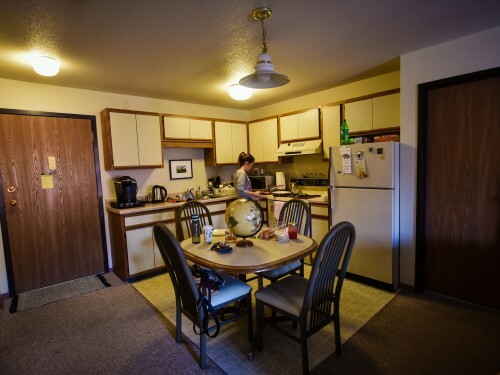 Our 10 residence halls and apartments will become your home away from home. Each hall has a distinctive appeal, due in part to its history, architectural style and location on campus. Each room is equipped with beds, mattresses, desks, chairs and dressers. The rooms also have high-speed internet access. All residence halls have a laundry facility with washers and dryers available at no additional cost to you. 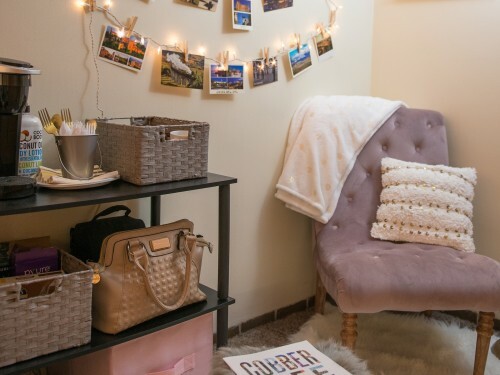 The Boe-Olson Apartments are fully furnished and are located on Eighth Street across from campus. They are efficiency apartments for two upperclass students. Bogstad Manor and Bogstad East are apartment complexes on the north end of campus. They are available to upperclass students and are fully furnished. The EcoHouse is an off-campus residence just north of campus that was recently purchased and renovated by the college to promote sustainable living. Residents must be upperclass students and are chosen through an application process. Erickson Hall is a popular choice with business majors and student-athletes because it is connected to the Offutt School of Business and is near the athletic facilities. 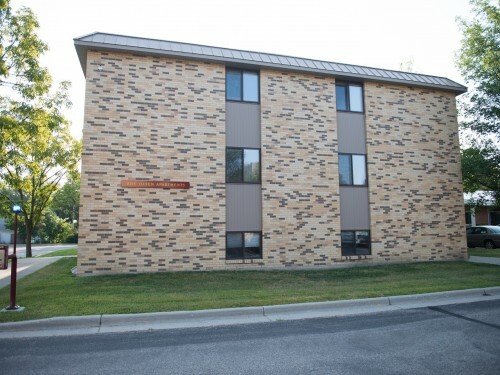 Erickson is coed by floor and has separate floors for first-year and returning students. 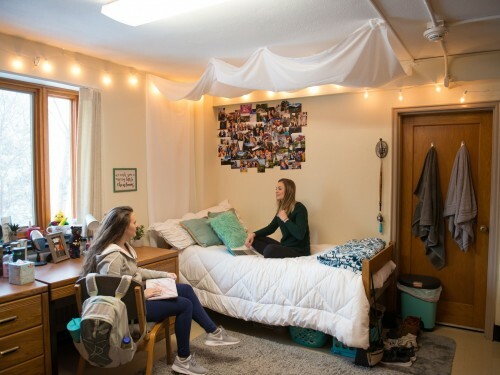 Fjelstad Hall houses returning students, including the upperclass CREDO Honors Program floors. Hallett Hall is a popular choice with business majors and student-athletes because it is connected to the Offutt School of Business and is near the athletic facilities. 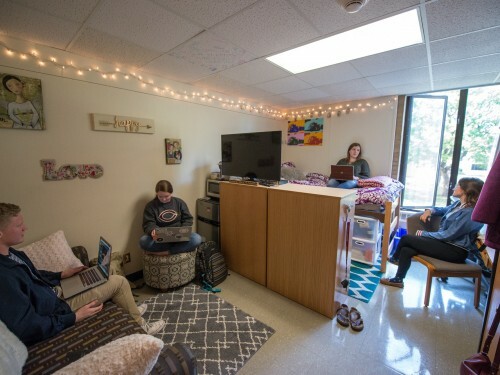 Hallett is coed by floor and has separate floors for first-year and returning students. Hoyum Hall is popular with music majors because it is located next to the Hvidsten Hall of Music. 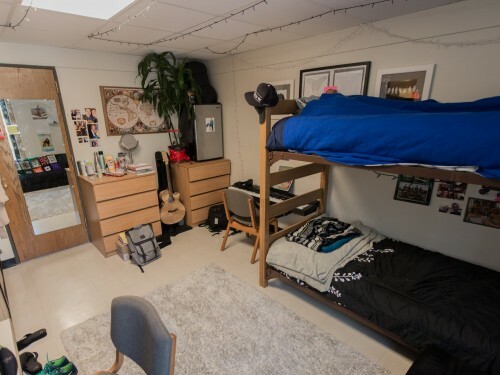 Hoyum is coed by floor and has separate floors for first-year and returning students. Livedalen Hall is close to the center of campus. 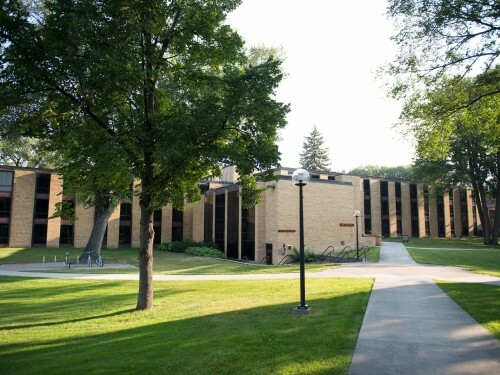 It is connected to the Center for Student Success and the Cobber Bookstore and is located near the theatre, art and communication center. Livedalen is coed by floor and has separate floors for first-year and returning students. Park Region Hall is located on the north end of campus. Rooms in Park Region have a unique, triangular shape and the building is air-conditioned and has an elevator. Park Region is coed by wing and houses the Sexuality and Gender Inclusion Community on two of the floors. The townhouses are open to upperclass students and include two, three, and four bedroom living spaces. 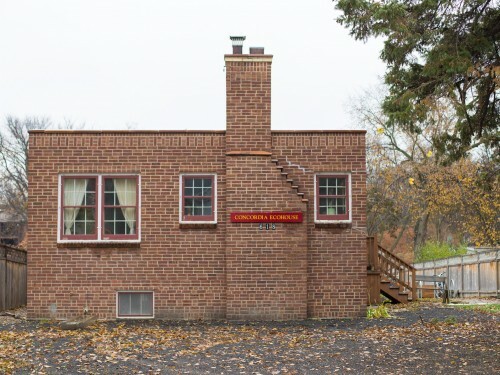 They are located on 12th Avenue just east of Grant Center.